Blue Butterfly Pea is an ancient Thai herbal plant. Its flower has three different colors white, blue, and purple. Not only beautiful, Butterfly Pea first gained its reputation as a powerful hair strengthener in the traditional Thai medicine. Leaves, flowers, seeds, and roots are all used as medicinal herbs. According to Thai culture and folklore, butterfly pea flowers are squeezed to make Anchan tea, and as a coloring for Thai desserts in blue and purple colors. It also provides anthocyanin to improve eyesight, treat opthalmitis and eye infections, nourish hair, provide antioxidants and boost body immunity. Many health and beauty products are derived from this flower because of the positive effects of the flavanoid quercetin has on skin & hair. The hot or cold tea is extremely thirst quenching and relaxing. Anthocyanins are highly concentrated in the deep blue pigments of wild Butterfly Pea, which contain higher levels of anthocyanins than many other foods. They belong to a group of natural compounds, called flavonoids, found in the skins of many plants that have high antioxidant capacity and other bioactivity. Researchers focused on the relationship between anthocyanin consumption and type 2 diabetes by examining data from over 200,000 men and women participating in long-term health studies. In the study, they found that higher consumption of anthocyanins was associated with lower risk of type 2 diabetes, possibly due to their high content of anthocyanins, said Walter Willett, MD, DrPH, Professor of Epidemiology and Nutrition at Harvard School of Public Health and the studys lead author. Proanthocyanidin with its high content of the flavonol quercetin improves eyesight, treat opthalmitis & eye infections, nourishes hair & skin, provides antioxidants and boosts body immunity. Clinical research in butterfly pea indicates that it has potential health effects against eye degeneration caused by diabetes, glaucoma, cataract and other eye related problems. It is said that the butterfly pea flower is one of the most valuable natural herbal plants in Thailand. These statements have not been evaluated by the FDA. These products are not intended to diagnose, treat, cure, or prevent any disease. Приятный на вкус, полезный, красивый цвет. 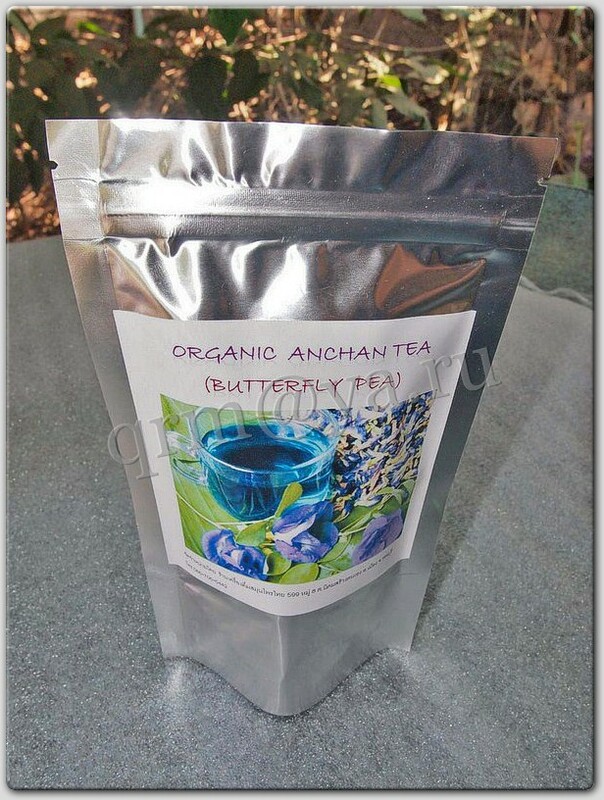 Click the button below to add the Blue Anchan Flower tea to your wish list. Copyright 2019 Thailand Beauty Products.